Happy Spring! With much needed warmer weather also comes lots of great fresh spring produce. Snap peas and asparagus are two favorites for sure that lend themselves to infinite prep and pairing possibilities. Here, they get the blanch treatment. Blanching is a classic culinary technique where you very briefly boil something, usually a veggie, and then quickly shock in ice water to stop the cooking. This method helps ‘lock’ in the bright colors and allows for several uses afterwards. 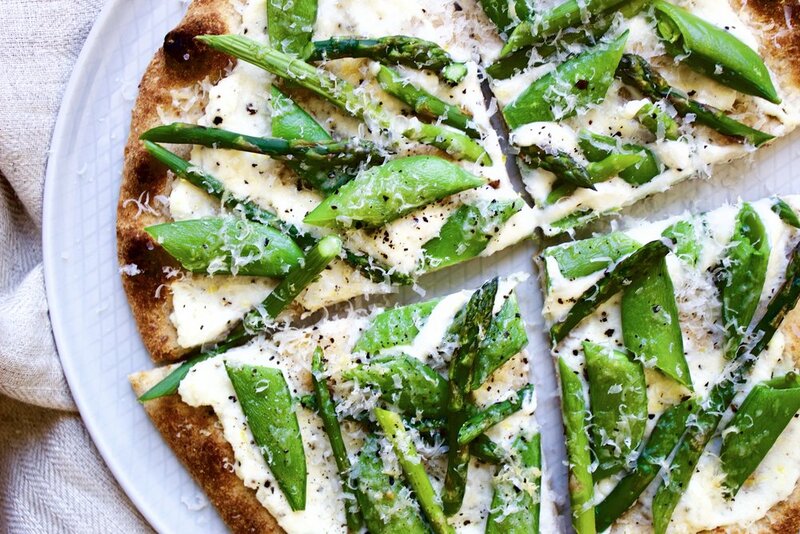 This quick dish combines blanched snap peas and asparagus with a creamy black pepper and lemon spiked ricotta spread on a wholesome flatbread base. Whole grain flatbreads like naan are widely available in pretty much all large grocery stores now, making it easy to find what you need to make this recipe a delicious reality in your life. Ricotta is a fresh cheese packed with protein, making it a legit protein option for vegetarians, or just another good way to get protein in for omnivores. You can get it with less or more fat, depending on your nutritional needs too. 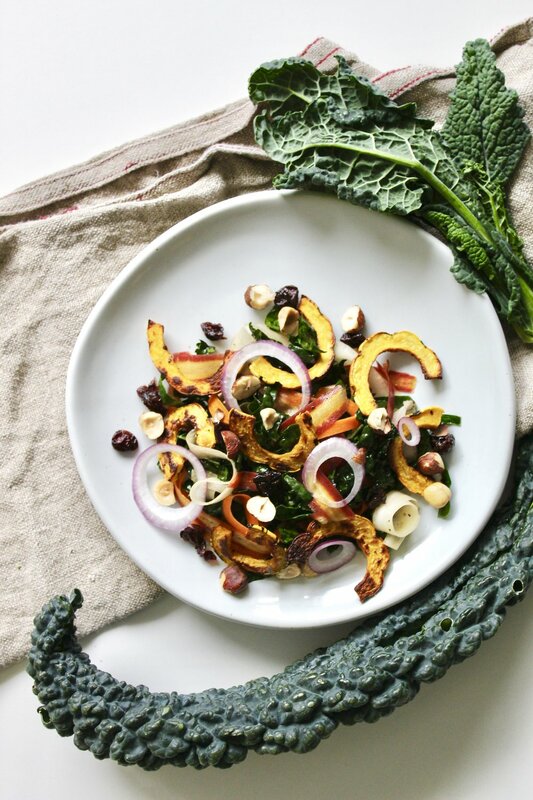 It makes a rich, creamy, and nutrient dense ‘sauce’ here, a great contrast and compliment to the fresh, crunchy spring veggies. Other spring veggies would be great here as well, such as fennel, radish, and broccoli. Use this recipe as less of a recipe and more of a guide to make the spring flatbread that’s right for your taste. Enjoy! Place a smaller pot of water on to boil. Place ice in a large bowl and add just enough water to cover the ice. Mix together the ricotta, lemon zest, and black pepper. When the water is boiling, add the peas and let cook for only about 10-15 seconds, until they are bright green. Immediately take out of the hot water and shock in the ice water to stop the cooking. Do the same process with the asparagus. When chilled, remove from the water and pat dry. 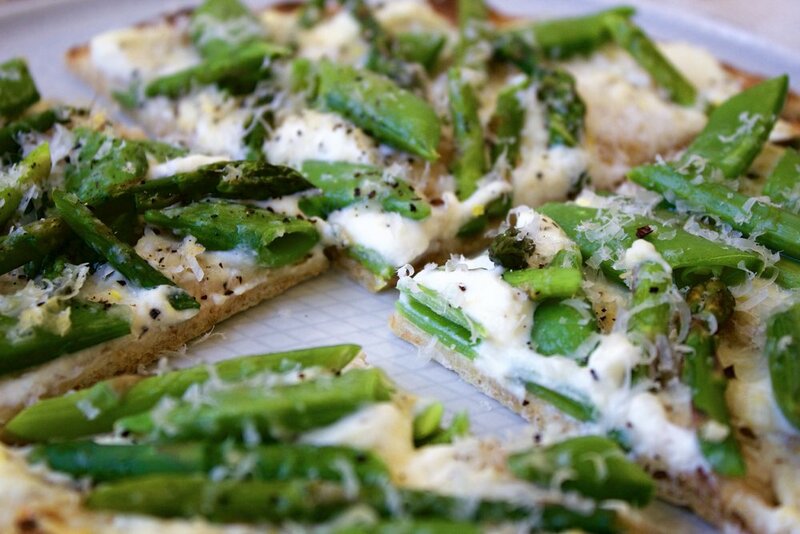 Spread the ricotta mixture on the flatbread, arrange peas and asparagus on top. Sprinkle on the parmesan. Place on a sheet pan and broil on high for about 5 minutes, until cheese is melty and golden, and crust gets crispy. Garnish with a little more fresh black pepper and parmesan cheese. Enjoy right away! Notes: You can use low fat or full fat ricotta depending on your preference. You could save leftovers and reheat in the oven, but I think it’s better fresh.